I’m glad I read Don Quixote once. I’m not sure I’ll have time to come back to him, but I did understand why the Spanish love him, and I learned quite a lot about the development of the novel in its early days. The Portuguese writer Jose Saramago has intrigued me and I’ve read several of his novels; Blindness, which I believe had been made into a film and which I’m definitely NOT planning to watch, is one of the scariest and most horrifying novels I’ve read. Almost everyone is struck blind over the course of a few days, and the anarchy and human vileness which is released makes the world of Lord of the Flies seem like the Teddy Bears’ Picnic. It’s stunning, and fearsomely convincing. 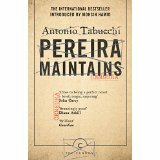 However, it’s Antonio Tabucci‘s Pereira Maintains that I have liked best from that country’s literature. He conveys the spookiness of the long Salazar dicatatorship very effectively indeed. I’ve read several Italian novelists. Umberto Eco I’ve written at great length about elsewhere in this blog if you care to look, so no more about him. Primo Levi I have found very moving. He was an Auschwitz survivor who eventually committed suicide, but not before writing a powerful memoir, If This is a Man, and an intriguing, semi-autobiographical novel inspired by his life (he was a research chemist) called The Periodic Table, which I think is a masterpiece, especially the final chapter. And I love the lighthearted feel of The Garden of the Finzi Continis, by Gregorio Bassani, with the hidden undertones of menace in the background… but if I had to pick the very best, then I’d undoubtedly go for Giovanni di Lampedusa‘s The Leopard, a stunningly beautiful and lyrical tale of the emergence of modern Italy and the disappearance of an era seen through the eyes of a man who knows it must happen, wants it to happen and knows it makes him redundant, inescapably part of a past that has gone forever. 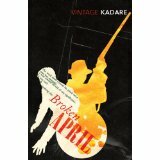 I also have to mention the Albanian Ismail Kadare. Older friends of mine will be acquainted with my fascination with the country, largely due to listening to propaganda broadcasts from Radio Tirana in the evenings. So when I came across translations – mainly into French, but some into English, of this astonishing writer, I was hooked. Broken April is set in the tradition of the kanun, or blood-feud, a historically Albanian thing, with all sorts of rules about who you can and can’t kill, and when. The Pyramid is an allegory of sorts about his own country under the dictatorship of Enver Hoxha, while telling the story of the building of the pyramids in ancient Egypt, and The Palace of Dreams creates a bureaucracy to rival Kafka‘s. And then there are realistic novels set in the Albania of the fifties and sixties as she fell out with the Soviet Union (‘social imperialists’)and came to ally herself with the Chinese, The Concert, and The Great Winter. 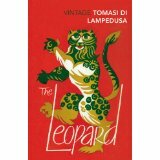 He is a masterly chronicler of his times and his country, and an entertaining novelist.